CBD SharkShock is a CBD-rich version of the original SharkShock that was crossed with Cannatonic. 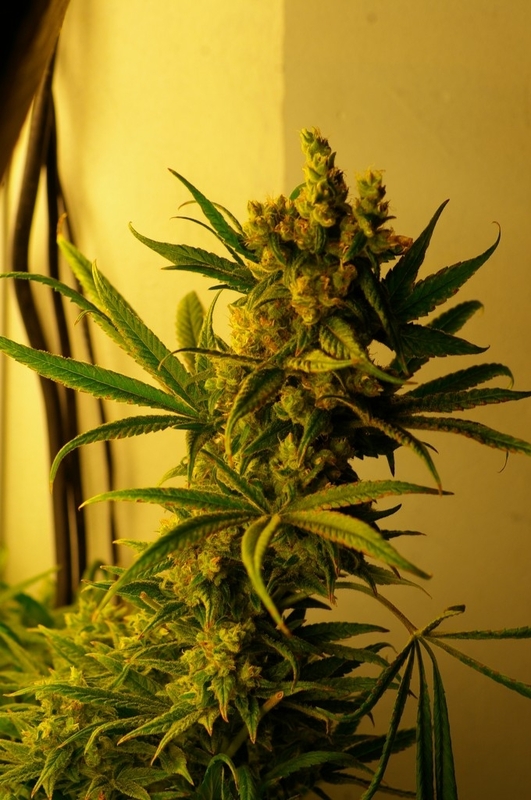 This indica dominant hybrid contains 80% indica and 20% sativa genetics. The THC and CBD levels are 6-11% and the strain has perfect 1:1 ratio. The plant develops strong, compact structure. It has fast flowering of 8 weeks and in spite of it the strain produces decent yields of 400 gr/m2. The smoke provides pleasant calming effect, that is ideal for relaxing. The taste is fruity with touches of onion and garlic.